We will be collecting curbside leaves beginning the week November 12, 2018. Our contractor will vacuum up leaves on Monday or Tuesday, weather permitting, each week, beginning the week of November 12. The weekly leaf collection will continue until almost all of the leaves have fallen. Please be aware that it may take more than one day to cover the entire neighborhood. 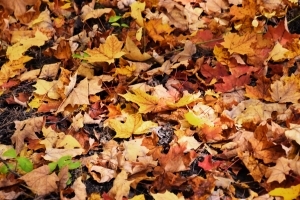 If you want your leaves picked up, collect them in the street gutter immediately next to the curb in front of or closest to your house by 6 AM Monday during the collection weeks. Please remove any grass clippings, sticks, stones or other large objects from the leaves. IMPORTANT: Please make sure your leaves do not fall into or block any storm drains, as this creates a serious problem when it snows or ices. You may, of course, use alternative methods for disposing of your leaves, such as gathering them and placing them in paper bags for county recycling pick-up on Mondays or having your lawn care service collect them and take them away.